I was going through my email when I decided to check my Junk folder yesterday. I hadn’t checked my Junk folder in dunno-how-many-months and made the decision to check it since I haven’t heard back from my presentation group regarding our group meeting. Unfortunately, my group has not got back to me about our group meeting (our presentation is on FRIDAY). I can’t blame them though, since I’m also taking a very relaxed attitude to our presentation (10% of course marks? Meh). Fortunately, something else better awaited for me in the Junk folder. 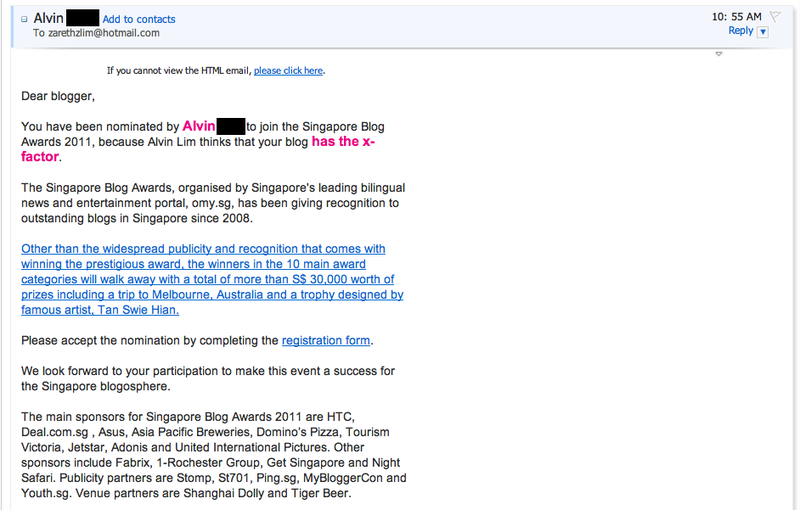 I saw an email from an Alvin informing me that I have been nominated for the omy Singapore Blog Awards 2011. 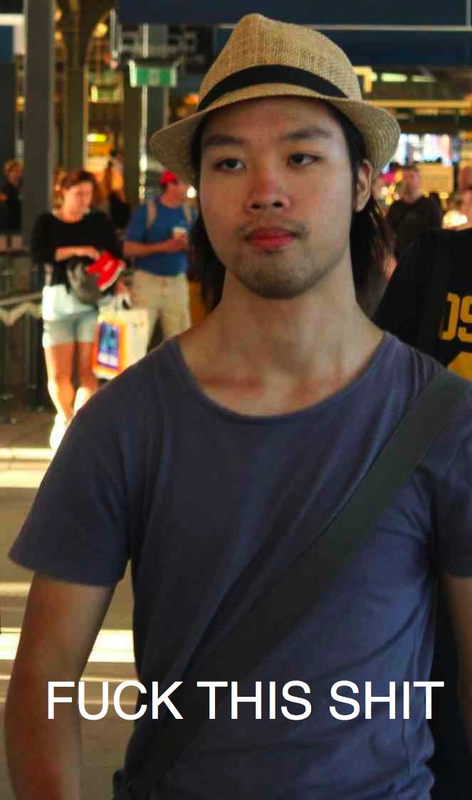 Special thanks to my friend who took this sibeh tulan photo of me. At first, I was extremely skeptical. I mean, how often do people come up to you and say you’re nominated for the Singapore Blog Awards? Not very often. Another reason why I was skeptical about the email is because I seldom update my blog and when I do, it’s usually filled with random ramblings and musings. But hey, it’s my blog after all. Click on screenshot to see a bigger screenshot. But you can’t be too trusting these days. So I decided to do a bit of ‘detective work’. First, I checked the email address of the sender. When I saw the email address, using my ‘amazing’ deductive skills, I went straight here. Yep, it’s a blogger. A very well-known Singapore blogger. But I was still slightly skeptical, so I went to the “About Me” page and searched for the email address. I found it in two seconds. The email address in the blog corroborated with the email address of the sender. But wait! What if some spammer got his email and was sending out some spammy emails to other people telling them that they have been nominated for the omy Singapore Blog Awards 2011? That’s just cruel. Imagine a blogger celebrating the nomination, thinking that his/her blog has finally gain some recognition, only to have their laptops/computers infected with malicious viruses after clicking on the link. Talk about crushing someone’s dreams. So I decided to do another check. 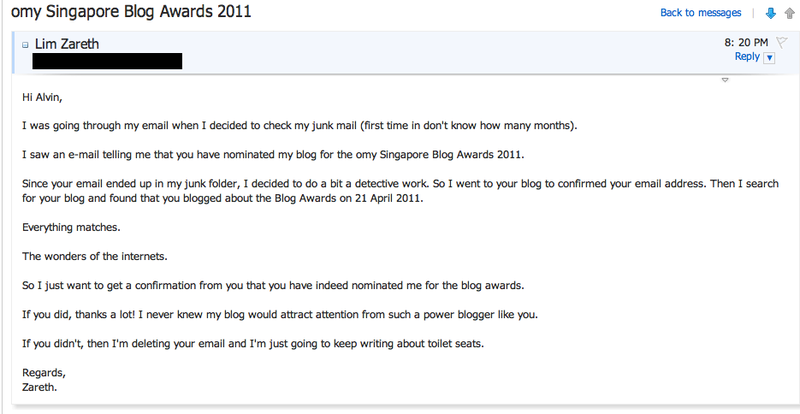 On his blog (the blogger who nominated me), I did a search for “Singapore Blog Awards 2011”. The search gave me this post. Okay… so now I’m semi-convinced. Now I’ll just have to wait for his reply. I set a deadline of 24 hours. If I didn’t hear back from him within 24 hours, I’ll just delete the email and continue with my university life. I felt a bit paiseh (Hokkien for ’embarassed’). I guess I’ve been blogging too much about toilet seats. I’ve decided to enter omy Singapore Blog Awards 2011. As Alvin said in the email, I can enter as many categories as I want to. I checked all the other categories and found only one more category relevant to my blog and that is Best Individual Blog. So this is it guys. I’m gunning for Best What-the-hell Blog (nominated by Alvin) and Best Individual Blog (nominated by myself). I don’t think I’m going to win both, but it’ll be an interesting experience. Before I can do that, I’ll need your help, dear friends and readers, to choose three blog posts that captures the essence, or best represent my blog. 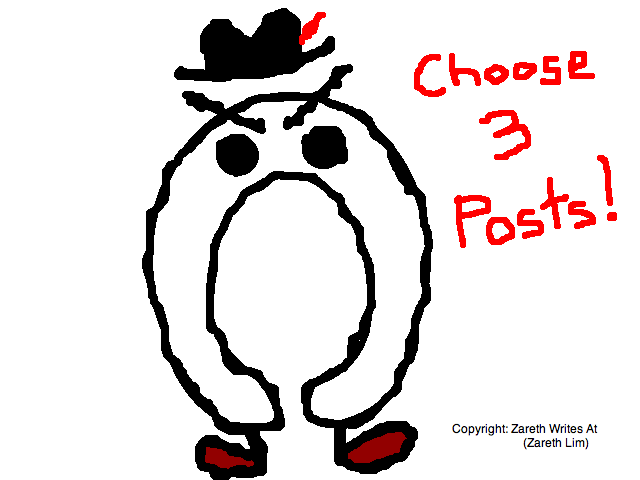 Or you can choose your top 3 favourite posts. So choose 3 posts and you can FB message me or send me an email. My email contact is in the “Contact” tab at the top. Don’t worry, I won’t go Sherlock Holmes on you. You have up till 21 May 2011. Hurry! The Blog Awards nominations close on 22 May 2011! Once I’ve register my blog for both categories, my blog will go through one round of judging by a panel of judges. This take place on 23 May to 5 June. The panel of judges will select 10 top entries from each categories. If I make it through this round, then I’ll enter the next round where the public will vote for their favourite bloggers. This takes place on 6 June to 3 July. The overall winner will be the one that get the most points (30% from voters and 70% from judges). 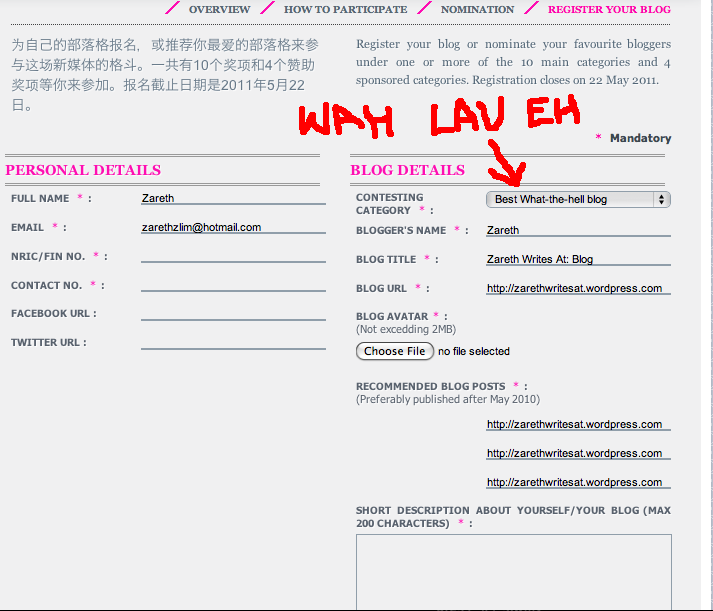 To find out more about omy Singapore Blog Awards 2011, click on the bright, pink link on the right. So how did Alvin discover my blog? Well, I was blogging about the 2011 Singapore GE and linked his blog in the post. The rest is history. Once again, thanks Alvin, for nominating my blog! This entry was posted in Cool Stuff, Singapore, Websites, Writings by Zareth. Bookmark the permalink.